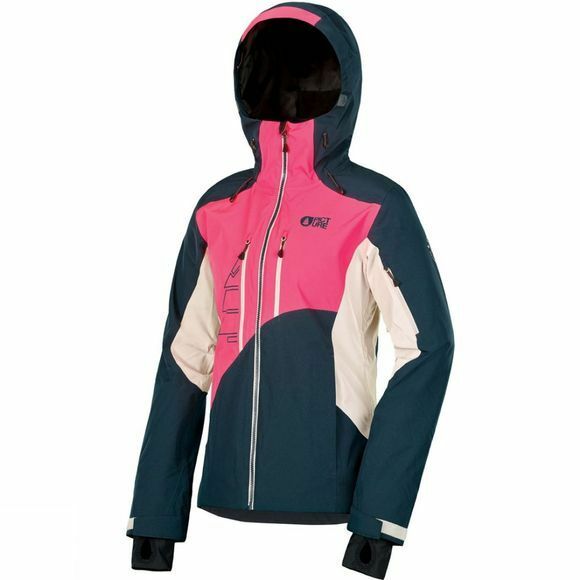 The Womens Seen Jacket from Picture will protect you in any weather. It features a recyclable DRYPLAY 20K/15K membrane for maximum waterproof-breathability, and body-mapping construction. The Thermal Dry System wicks away sweat where you need it most and the Coremax lining eliminates cold spots. 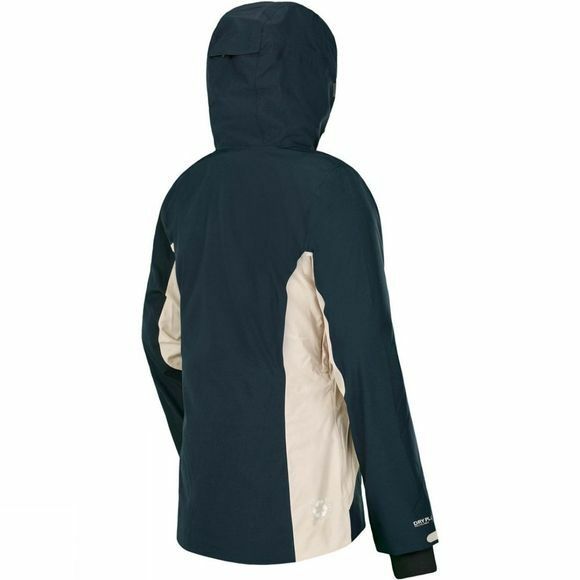 Fully-taped seams and waterproof zippers keep moisture out. Pit zips were added for when it really warms up. For enhanced protection and fit, the hood, cuffs with wrist gaiters, and powder skirt that attaches to your pants are all adjustable. The slim fit gives it a feminine and high-performance look.